Startup funding – This investment banker will find you money and help you keep it. If you’re an entrepreneur, what’s your biggest nightmare? That your billion-dollar idea is really a dud? That your investors paint you in a corner with a convoluted term sheet? Or that despite having a great idea, you simply never find the investor of your dreams? If you’re an entrepreneur, your nightmares are probably all of the above. Startups in Asia raised US$205 million in seed funding in 2015, according to Tech In Asiadata. That’s from 490 deals. 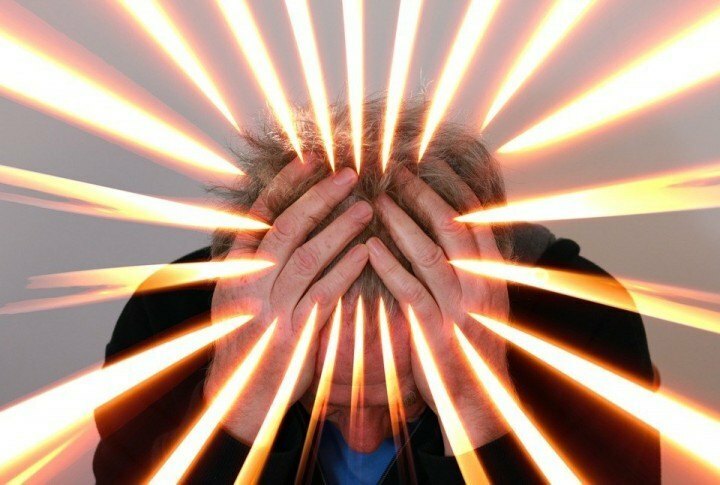 It sounds like a lot, but if you’re in the business, you know it isn’t as easy as it sounds, and the process comes with its own set of pains and worries. And that’s where New Delhi-based Enablers comes in. It claims it will help startups not only find investors, but will also handhold them through the execution of all transactions so entrepreneurs are free to focus on core operations. Founded by Neha Khanna and five others, this online deal-making service is planning to draw heavily from its founders’ investment banking experiences as it makes it a business to match startups with investors – and then some. “The point is, once the entrepreneur is signed up, the onus is on us to ensure that we identify who the right investors could be,” Neha Khanna, director at Enablers, told Tech In Asia. She founded Enablers as an extension of Value Prolific Consulting Services (ValPro), a ten-year-old investment bank with offices in New Delhi and Mumbai. Enablers competes with the likes of Wishberry and Letsventure in India, both of which help startups find investment through crowdsourcing or angel investors. But that, Neha insists, is where the similarities end. While most other fundraising platforms act as meeting grounds for startups and mentor-investors, the company, founded in March last year, claims they offer more handholding than any others. That includes working with startups to check their growth estimates, matching them to the right investors, running due diligence, negotiating for capital and on term sheets, and closing the deal. “We didn’t believe in creating just a marketplace and leaving it to the entrepreneurs to work things out. We figured that was where the pain point was,” Neha said. But thorough handholding needs time and patience. While most such services can boast thousands of registrations, Neha said her plan was to stick to a couple of hundred at the most and keep the list heavily curated. Last year, Enablers reviewed 300 startups and allowed only 60 in. Of those, three – luxury ecommerce store RocknShop, food tech startup Bite Club, and edutainment companyConveGenius – collectively raised around US$750,000 in funding. Neha plans to close about four more fund raises this month. To keep the list curated, Enablers charges startups an entry fee of about US$450, and asks for a “success fee” of two percent of the amount raised once a transaction is closed. A team of analysts and associates vet applicants, after which the team at Enablers makes a collective decision on whether the startup should be allowed on board. “The analysts and associates spend between two to four weeks with the companies before we decide on taking them on,” said Neha. But what about funding for Enablers’ own purposes? 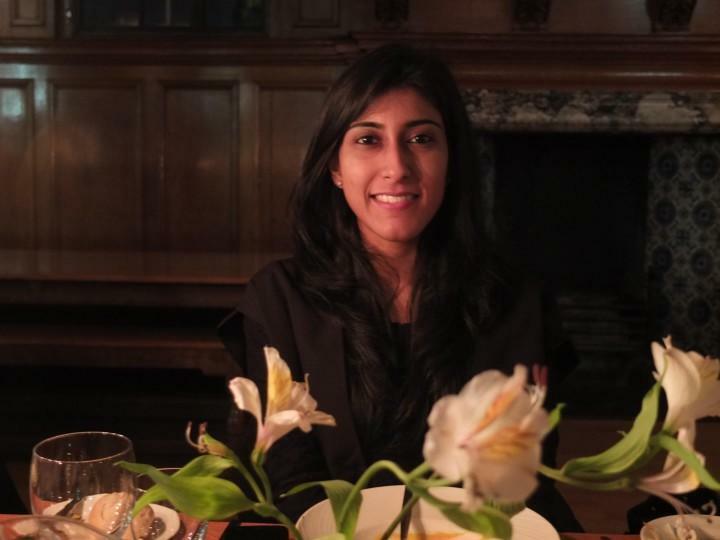 “Honestly, we are not proactively looking to raise funds, but of course if a partner wants to come on board and it works out..,” Neha said, in a bid to keep all options open. Summer has come to an end (sigh). But no summer is complete without our third-annual list of the Bay Area’s 10 Most InDemand Startups (aka, the startups Bay Area software engineers and IT professionals want to work for the most)… and a summer mixtape! We compiled the list by analyzing millions of interactions between Bay Area startups with less than 500 employees and the more than 337,000 Bay Area software engineers and IT professionals on LinkedIn. The data is based on activity from February to July (for more info on how we calculate InDemand lists, click here). The companies on this year’s list boast the strongest talent brands among Bay Area startups. That’s great news for them since 56% of professionals say a company’s talent brands is a major influence in their decision to accept or decline a job offer. Congrats to all of this year’s honorees! I have spent most of my life living and traveling in Southeast Asia; the last two years as the mentor to Asian startups. Southeast Asia — home to 620 million people across 11 countries — has been skyrocketing with tremendous growth; case in point, the 16 percent increase in Aggregate Investment Deal Value, to US$1.05 billion in 2014. Some of the top investors in the region include prestigious firms in the Western world, such as Sequoia Capital and Tiger Global. It is not surprising at all. The region has a huge combined GDP, US$2.57 trillion, with 60 percent of the population in the young age group of 15-34. As an avid reader, I realized that the term “unicorn” has been overly reported on Western/China/India startups. 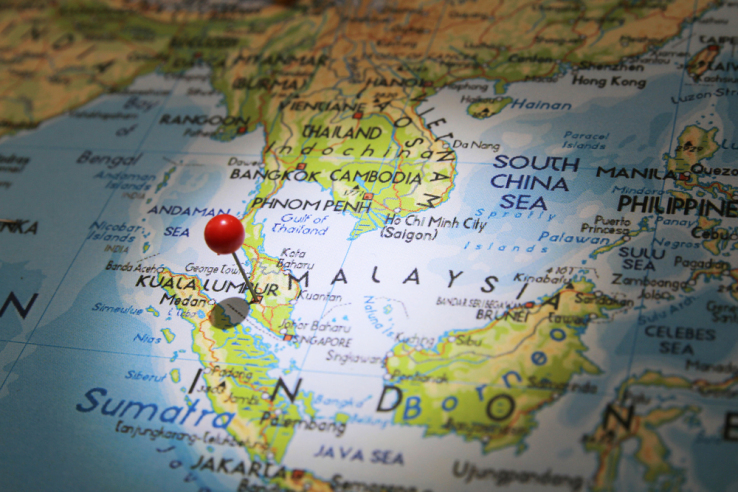 Yet, Southeast Asian startups have been missing the limelight, even though Southeast Asia is a high-growth and emerging market. The data on the seven unicorns of Southeast Asia reveals plenty of insight on the Southeast Asian startup ecosystem. The average age of a unicorn in this list is 6.5 years — the youngest is Indonesia-based Traveloka, founded in 2012; the oldest, 11 years, is Vietnam-based VNG. The total valuation lies at around US$10 billion. There are more similarities than differences in these unicorns. James Slavet at Greylock Partners believes that the path to a billion dollars is to model a “digital transaction business — a company that connects buyers and sellers so they can more efficiently transact.” These unicorns address through their platforms core lifestyle needs, such as e-commerce and entertainment. Moreover, they have a proven business model of what works in the U.S., such as travel booking and e-hailing, which should work in an emerging market. From a funding perspective, the unicorns have a good mix of foreign and local investors to provide knowledge transfer of what has done well and to aid in regional scaling, respectively. Let’s review the unicorns — better referred to as Komodo Dragon — formed in Southeast Asia’s forests thus far. Garena is often named as the Tencent of Southeast Asia. Its latest undisclosed funding by The Ontario Teachers’ Pension Plan in March 2015 has catapulted this gaming platform to the most valuated in this roundup. In the funding announcement, its desktop user base (17 million) still overshadowed the mobile monthly active user base (11 million) and has reached annual revenues of US$200 million. If you like the juicy founding story of Facebook’s The Social Network, the rumored dramatic founding story of Garena might be your cup of tea. Southeast Asia’s largest taxi aggregator, GrabTaxi, is Southeast Asia’s answer to Uber. Most recently, GrabTaxi teamed up with other SoftBank investees (Ola and Didi Kuaidi) and Lyft to provide seamless ridesharing across their influenced countries. GrabTaxi leads Southeast Asia with up to 1.5 million daily bookings across six countries and 22 cities. Rocket Internet-backed e-commerce store Lazada experienced high growth after success in China’s JD and Alibaba, as well as India’s Flipkart and Snapdeal. As an infrastructure it is still in the infant stage for this part of the world. Lazada plans to use the latest funding to enhance the shopping experience by improving logistics, payment solutions and the third-party merchant base. High-end gaming hardware company Razer was founded by Singapore-born lawyer Tan Ming-Liang and American technologist Robert Krakoff. It recently opened its third concept store in Bangkok (after Taipei and Manila), which shows its strategic focus in the growing affluence of Asian gamers first. Also, Razer has allied with the world’s biggest PC vendor to co-brand a range of China-based Lenovo PCs so as to tap into Razer’s gaming expertise and die-hard gamer fan base. Tokopedia is Indonesia’s top C2C marketplace that lets individuals and SMBs owners open and maintain their online stores for free. It operates on a freemium model, where paying store owners get additional features such as user control and the ability to add/sell a bigger range of products. It was East Ventures’ first investment and Sequoia Capital’s first investment in Southeast Asia. VNG, a competitor of Garena, first started piggybacking on gaming company Kingsoft for game licensing. From there, it built a platform stretching from music downloads to mobile games to its flagship chat app, Zola. Despite its sole focus on Vietnam, which is an anomaly itself, it has secured US$100 million revenue, with 2,000 employees across Vietnam. VNG’s attempt to venture outside Vietnam into China and Japan through game release has not garnered success. When it’s 500 Startups managing partner Khailee Ng who’s speaking on stage, you know you’re in for a treat. So today at the Tech in Asia Jakarta 2015, we didn’t expect any less. “The world is fundamentally really fucked up,” he stated, not mincing his words before a packed hall. That’s the world that 500 Startups is trying to change, he said, with its focus on startups in oft-overlooked nations. “If there’s a kid in Medan right now who has the chops to build a company that can change something, we want to give [that kid] money… and the knowledge to spend that money well,” he continued. 500 Startups has invested in 1,200 startups in 50 countries in the past five years, he said, making it the world’s most active seed-stage investor. Now it’s particularly keen on Southeast Asia, where it has invested around US$10 million so far and expects to have about a hundred deals signed by the end of this year. In investing, Khailee said they’ve always stood by the motto: “move fast and break things.” Well, looking at the rate its portfolio has grown, 500 Startups sure seems to be in a hurry. The fund is known for investing at shotgun speed and people just can’t keep up with what it’s doing. Sometimes, even Khailee himself. “I’m gonna fix that. I will upgrade everything that I’ve done with my team to the next level,” he said. First among the upgrades that 500 Startups will put in place is a system to better look after those under its wing. “We want everyone to get a shot,” he added. He cited a telco in Malaysia that helps a startup by sending an SMS blast to its entire subscriber base about the startup’s coupon offers. Punjab is going to set up a Rs. 300 million fund for the express purpose of supporting startups. Umar Saif stated that the primary aim of the fund would be to develop the entrepreneurial ecosystem in Pakistan. Venture capitalism is still in its nascent stages in Pakistan. While the startup ecosystem is thriving due to new entrants and a refreshing focus on incubators, accelerators and trust in the talents of local populace, the same cannot be said for the investment patterns with most funded startups looking towards investment from abroad. The establishment of a local and government backed VC fund could help alleviate the issues. We have no doubt that a the fund will operate in close coordination with the likes of Plan9 and PlanX and hence, makes them an even more attractive destination for aspiring entrepreneurs. Facebook announced that its global developer program FbStart is growing rapidly, with the number of participating startups rising by 61 percent in the past five months. The company also revealed that today it’s rolling out a new sharing feature for developers. Oh, and one more thing: Facebook announced the dates for next year’s F8 developer conference: April 12-13 at the Fort Mason Center in San Francisco, California. Deborah Liu, the vice president of platform at the social networking company, spoke at a press conference today about how Facebook is reaching out to developers worldwide through FbStart. Seventy percent of Facebook’s developers come from outside the U.S. Beyond our borders, the next biggest markets include Great Britain, Germany, Brazil, and India. As of now, the program has hand-selected more than 7,200 startups to participate, with over 30 partners supporting. These companies have received $250 million in benefits and resources from FbStart. In addition, 7 new partners have just been added: Animoto, Coursera, Dropbox, Reverie, Twilio, Twinprime, and Verbalizeit. 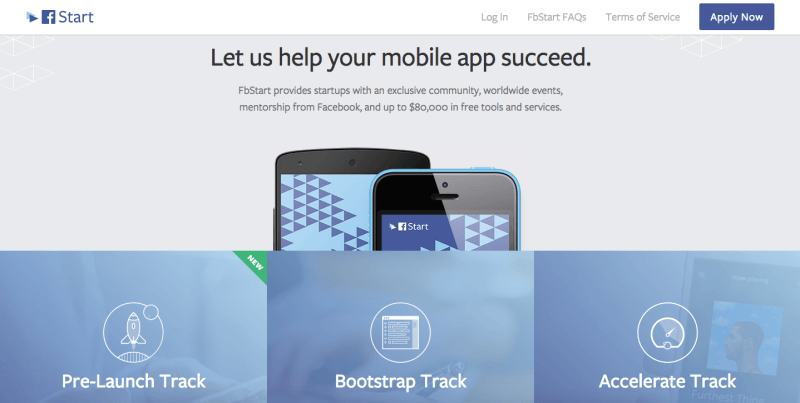 As a refresher, FbStart started last year as one of the main ways for the company to reach out to developers. It offers connections to company leaders/mentorship, a community that networks with each other, and a suite of products and services offered by partners and vendors. This is the first update on FbStart’s performance since May, when there were3,800 participating startups and 20 partners. Back then, $100 million in benefits were given out. At the last F8 developer conference, Liu announced the launch of a new analytics tool. In the past seven months, more than 200,000 unique apps are using Facebook Analytics for Apps. One example is MomentCam, the winner of the company’s inaugural FbStart mobile app contest. Liu explained that by using this service, developers can build a better application by knowing what people are doing. 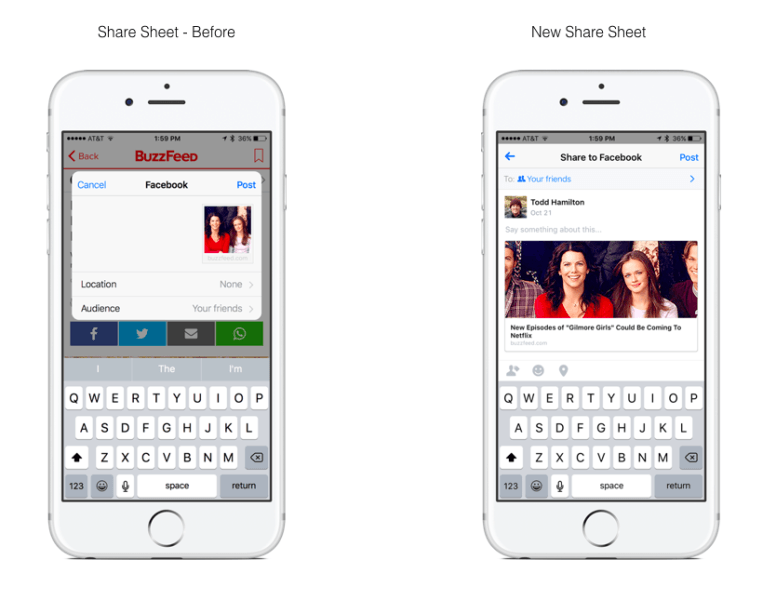 To better help developers, Facebook is rolling out a new sharing feature for apps built on iOS. In the past year, 50 billion pieces of content have been shared back to the social network, but based on feedback, Facebook opted to simplify things and make it more native. We’re told that some of the comments Facebook received include a desire by developers to have a more consistent experience, a clearer preview so users can know how their posts will look, an ability to share with any audience, and that it not require Facebook login to share. SAN FRANCISCO — Ten of the most innovative startups in digital health demonstrated their products live on stage at VentureBeat’s HealthBeat conference yesterday. Grilling the startups after their demos were venture capitalists Casper de Clercq (NVP), Michael Yang (Comcast Ventures), and Julie Wheelan (Edison Nation Medical). The products presented were impressive. “I’m really glad we weren’t asked to pick a winner this year because there were so many great companies here,” said Edison National Medical’s Julie Wheelan after the presentations. “There’s not going to be one answer to fixing health care, and there’s going to be plenty of opportunity for lots of different kinds of players,” Wheelan said. Big Health‘s Peter Hames demonstrated his company’s Sleep.io app, which is meant to improve a user’s sleep via a cognitive therapy approach. That is, the app will ask the user questions about sleep patterns and then provide information on how to improve. It’s the same kind of dialogue you would have with a sleep therapist, but without the therapist, Hames explained. The app is led by a charming cartoon character who provides education as well as personalized guidance, such as a daily schedule, to help you manage your sleep. Bright.md wants to cut time and increase efficiency by enabling patients to reach their health care providers online. Through Bright.md’s portal, patients can input information about their symptoms, pharmacies, insurance, and so on, and quickly receive treatment prescriptions and counseling from their physicians. “We’ve taken what used to be 20 minutes of provider time and turned it into 90 seconds,” cofounder Dr. Ray Constantini said at HealthBeat. Bright.md’s model sees the same power in digital technology as video chat services such as Doctor On Demand, Ringadoc, and others. Doctor on Demand is a video telemedicine company that offers people on-­demand and scheduled video visits with U.S­. licensed providers. On stage at HealthBeat, Doctor on Demand initiated a live telemedicine call to a real doctor. The demo presenter had a rash she got while camping. Before seeing the doctor, she entered a few symptoms into the system. Then the doctor came on screen for the exam. Through the Doctor on Demand app, the doctor can also call in prescriptions. Doctor on Demand said it resolves about 95 percent of cases, meaning that patients who call in don’t need to then receive office or emergency room care. Hygeia Health demonstrated a kiosk that it sells to medical offices that allows clinicians to comprehensively capture a patient’s vital signs before the patient visits the doctor. Patients sit down at the machine and rest their arm on a shelf where the vitals are taken. Hygeia said it’s been in conversation with electronic health records (EHR) vendors to have the kiosk integrated with the patient record. Infermedica demonstrated its clinical decision-support software, which uses artificial intelligence and machine learning to help physicians make good clinical decisions. The patient enters his or her complaint information into the software on a laptop or tablet, then the doctor uses a similar interface to input the objective assessment and treatment plan. In the background, the software processes the data and suggests likely diagnoses to the doctor. Omicia demonstrated its system for analyzing human genome sequences. The technology platform helps health providers manage genetic testing, analyze the results, and store the data. The company also sells a platform that manages genetic testing and results for hospital laboratories. The company demonstrated its SaaS platform, which it said geneticists love because it organizes genetic results better than the Microsoft Excel spreadsheets they’re used to. QPID Health demonstrated its optimization platform for EHR systems. The software can pull clinical data from EHR databases and extract clinical insights on the efficacy of specific therapies. The platform’s interface provides a dashboard for each specialty. A user might run a query on oncology patient records, for example. The objective is to search both structured and non-structured data contained in the EHR. RxMatch is a web- and mobile-based platform that replaces the take-home instructions that doctors and other caregivers give patients after an office visit. It allows doctors to codify a structured set of followup instructions, said the company’s CEO Kian Raiszadeh. The platform allows patients to create an online profile into which the caregiver can post after-care instructions. The platform’s interface can be branded by the health provider using it so that it fosters the direct relationship between patient and provider. Syapse‘s Jonathan Hirsch demonstrated the company’s Precision Medicine Data platform, which taps into the electronic patient record and tracks treatments and outcomes for specific patients. The idea is to integrate complex genomic and clinical data to arm physicians with decision-support information at the point of care, Hirsch said. Some of the data is presented on a timeline showing what medications the patients was taking during specific periods, with the health outcomes of those therapies displayed above them. The system can also pull in medical images to illustrate outcomes. Zephyr Health showed off its cloud-based analytics platform, which is designed to pull seemingly unrelated data sets together to find new insights for health organizations. The company said it transforms the data via research, integration, modeling, analytics, and visualization to arrive at insights that can help health providers interact with payers in new ways, or market their services differently. VentureBeat chose these 10 companies for their technology platforms and their ability to create change in the health care delivery system. We will continue to follow these companies as they grow and get tested under real market conditions.